Mrs Elizabeth Woodcock, a resident of Impington and wife of Daniel Woodcock, went to Cambridge market on Saturday 2nd February 1799. She sold her eggs and butter and started to return home. Her last stopping place was The Three Tuns at the top of Castle Hill. Heavy falls of snow had already occurred when she replenished her flask with brandy and left for home on her horse. She was thrown from her horse in the fields to the east of Impington, and was unable to remount. Shaken and numbed with cold she took shelter under a hawthorn hedge. The snow drifted over her until she was completely covered. Early next morning she heard the church bells ringing for morning service. She also heard the voices of passers-by in the distance, but was unable to attract attention. On the Monday she made a hole in the snow above her and made a flag of her red handkerchief which she tied on a stick. This flag led to her discovery but not till another week had passed. On the following Sunday, the Parish Clerk of Impington, William Munsey, saw the flag while out walking, discovered Mrs Woodcock, got help, and rescued her. She had been buried under the snow for eight days, and was conscious most of the time. She heard a church clock striking the hours, and the church bells on two successive Sundays. News of her adventure spread around the country, and numerous engravings of her were published at the time. 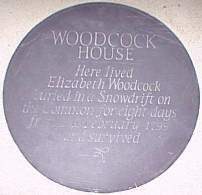 The house in which she lived still exists opposite the Baptist Church, and bears a circular plaque which identifies it. 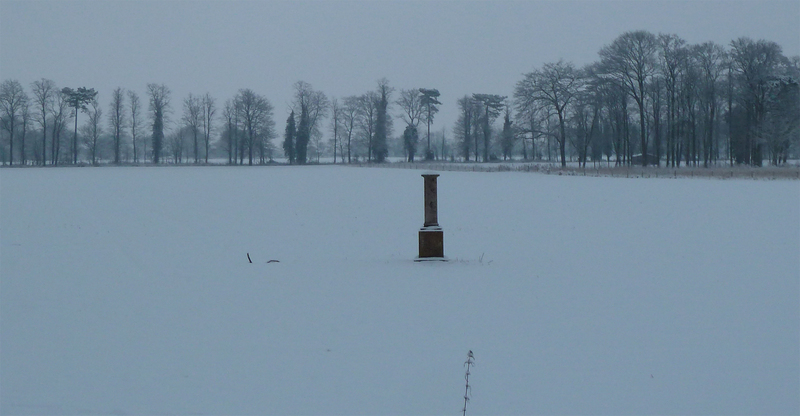 A stone memorial was placed at the scene of her imprisonment under the snow to commemorate her miraculous survival. However, by 1849 it had become so marked that a new memorial was laid its place. 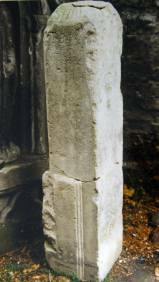 The original stone is now part of the Folk Museum’s collection. It was moved to its present position (one of the fields on Chivers’ farm) when the railway was built. Though she was frozen so. Eight days and nights, poor soul! They found her down a hole. The verses appear in “The Every-day book and Table Book or Everlasting Calendar of popular Amusements, Sports, Pastimes, Ceremonies, Manners, Customs, and Events, incident to Each of the three Hundred and Sixty-five Days, in past and present times; forming a complete history of the year, months, and seasons, and a perpetual key to the almanac;” … by William Hone vol.II London, printed for Thomas Tegg and Son, 73 Cheapside 1838. The tale of Elizabeth Woodcock is on page 175 and starts with this verse. Thank you for this. I will pass the information to our archivist. First became aware of this story when my daughter Jade who is in the local folk band The Willows, wrote a song about this lady titled “Elizabeth Woodcock” of course. You can find this on the “A Winter Union” album released in unison with a Xmas tour last year featuring The Willows, Megson & Hannah Sanders. 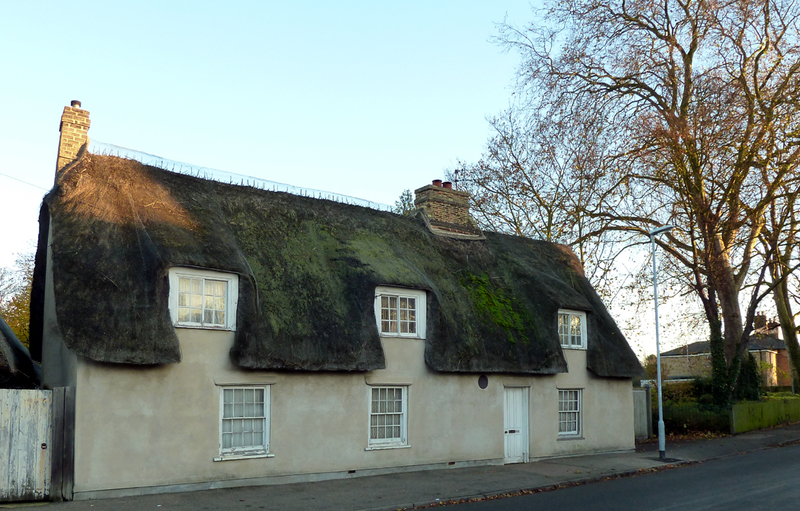 A fascinating story of survival & i have also now seen her cottage with the plaque on the wall, a piece of cambridge history i am now glad to be aware of. Thanks so much for the information about the song. I will try and get a copy of the album for the archive. Thank you. I didn’t know about the song.